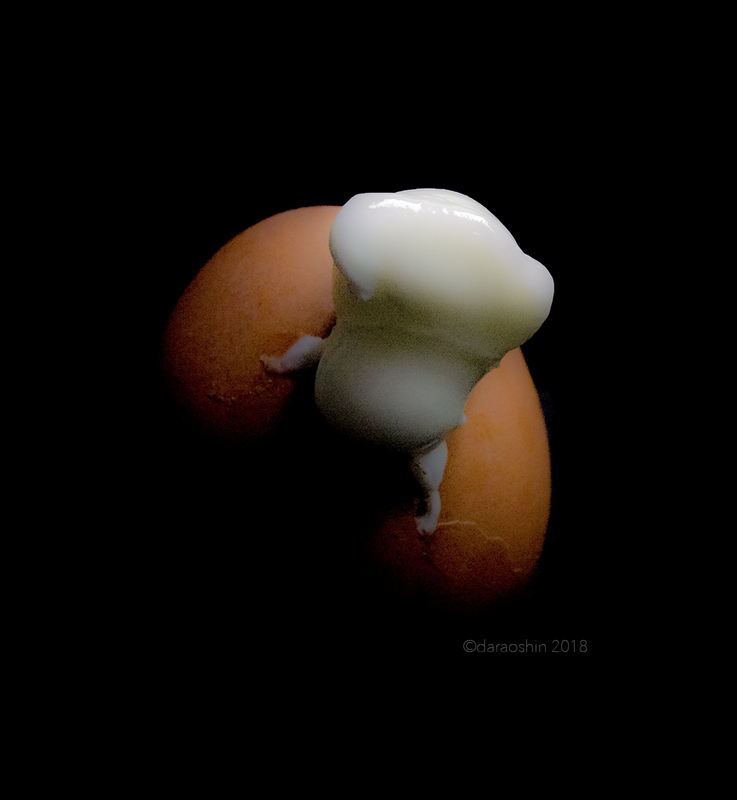 The Egg photograph series is an exploration of the common genesis of life, a simple egg and how it can be formed into different shapes through water and fire just as we humans are formed by nature and nurture. In addition to being one of the oldest food sources , the egg is steeped with multiple symbolic and religious meanings all throughout the world. Not only do eggs provide nourishment but, they also carry the potential to hatch a life. Because of this duality, the egg has carried an importance for people since ancient times. The symbolism of the egg include: new life, fertility, chance, luck, rebirth, long life, immortality, resurrection, existence, hope, the future and the origin of the universe. These beliefs are fairly consistent all around the globe and make the egg a perfect jumping off point to find commonality among people.